Runners’ Core & Strength Class – starts tonight! Commencing on Monday 5th September at 6 pm, the club will be holding a weekly Runners’ Core and Strength class at the Main Sports Hall, St Peter’s Leisure Centre, Burnley. This one hour class will be taken by Marion Wilkinson and consists of a series of circuits using free weights and body weight. The usual charge for the class will be £2 for club members and £5 for non-members, but all four classes in September will be free to club members. Minimum age 14 years. Participants should wear trainers and loose clothing. Marion Wilkinson, our club’s Junior Organiser, has many years’ experience of taking fitness classes. 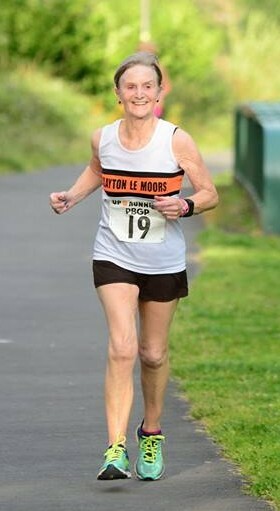 Marion says ‘Runners of all ages and ability will benefit from this class which helps prevent injury by strengthening the body and developing core stability.’ So, come and join other club members at the class on Monday nights from September!